What are people looking for in the outdoors? Public spaces are becoming more culturally diverse and the parks services, resources, facilities, etc need to reflect these changes. Recent graduates are also facing different challenges in the parks recreation and tourism management field these days. For example, drones are now a thing to have to consider. 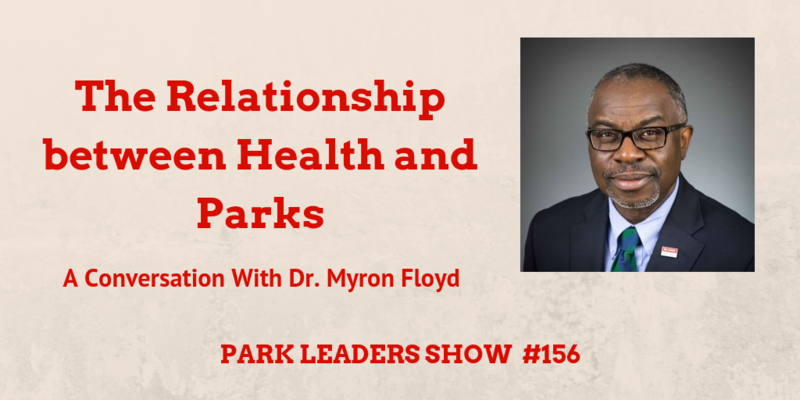 Dr. Myron Floyd joins the Park Leaders show to discuss health in the parks. He is the department head and professor in parks recreation and tourism management at the North Carolina State University. There is a clear connection between having a park nearby and more opportunity for physical activity and your health. Parks have both physical and mental health benefits. They also provide community benefits because they help bring people together. Green spaces help alleviate stress, improve your mood, and can help people recover from demanding cognitive tasks. Up and coming leaders should be able to deal with unpredictable challenges and have critical thinking skills.